Two Temple Place is one of London’s architectural gems, an extraordinary late Victorian mansion built by William Waldorf Astor on the Embankment. The building was originally designed for use as Astor’s estate office by one of the foremost neo-Gothic architects of the late nineteenth-century, John Loughborough Pearson. Astor had emigrated to England in 1891 as, arguably, the richest man in the world and no expense was spared when work began on Two Temple Place in 1892. In addition to the extraordinary, opulent interior, when it was finished in 1895, Two Temple Place contained the largest strong room in Europe as well as two other enormous fortified safes. 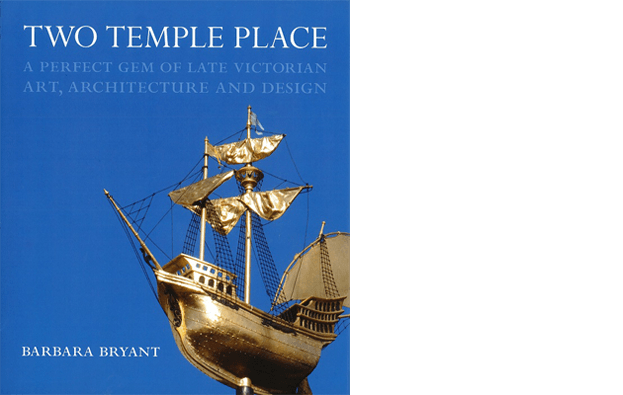 The book ‘Two Temple Place: A Perfect Gem of late Victorian Art, Architecture and Design’ by Barbara Bryant, is available to purchase in the Exhibition Shop from January to April each year. Outside of this period please email info@twotempleplace.org to place your order which will be posted to you for £15 (including postage and packaging). Two Temple Place is owned by registered charity, The Bulldog Trust, and functions as its headquarters. As well as facilitating the Trust’s charitable activities, the building supports the Trust though private hire. Two Temple Place is closed to the public except during the exhibition periods. Access outside of this time can be gained via tours of the building held exclusively for our Friends of Two Temple Place.